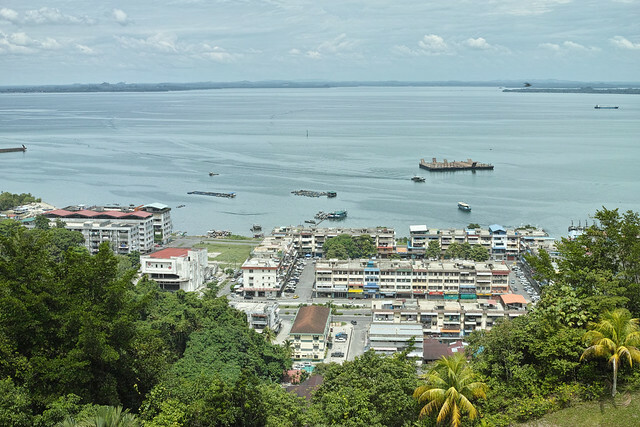 I have blogged about where to stay when you are in Sandakan, Sabah. CLICK HERE TO READ. Located a stone throw away from the hotel, this is a place where you can venture to take a look at day to day life of the people in Sandakan. 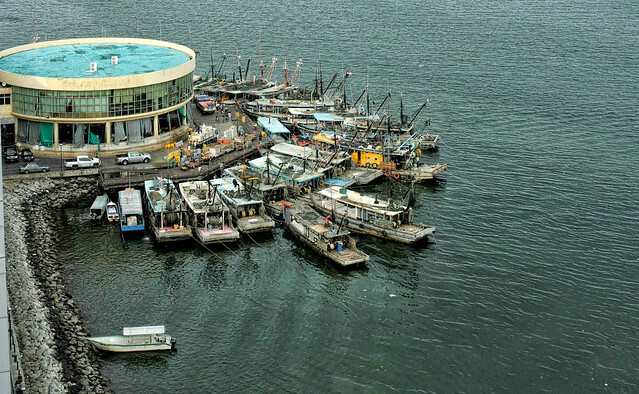 For a town that located by the sea, you can expect to see loads of seafoods in the market. 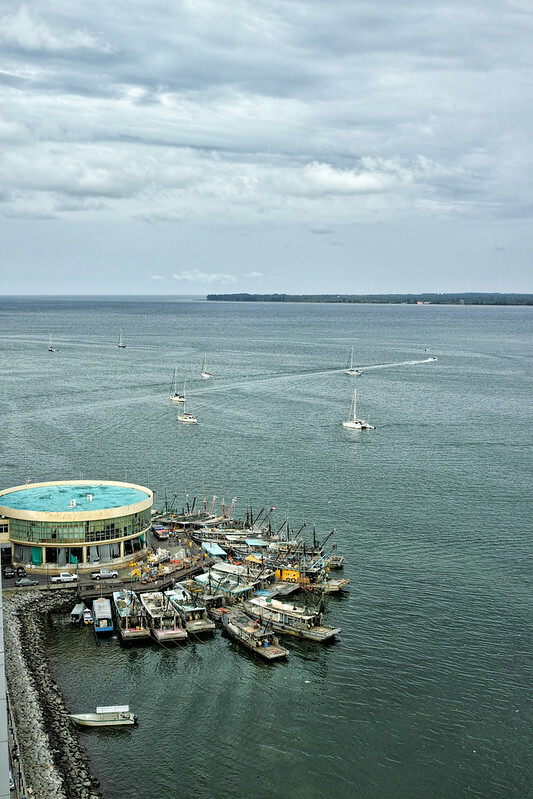 The sky view of the central market by the sea. All the ships dock next to the market where the daily catch were distributed to smaller markets. Consumers also can buy from them here directly where price are very cheap compared to west Malaysia. 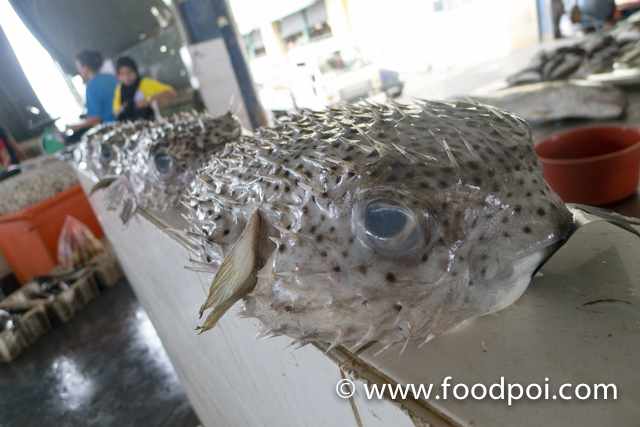 Puffer Fish or known as Fugu by Japanese where this is a delicacies that need a high level of skills to prepare it. This is very very expensive if you try them at any Japanese restaurants in KL. Some more it is seasonal. Here at the market, you can get them daily. 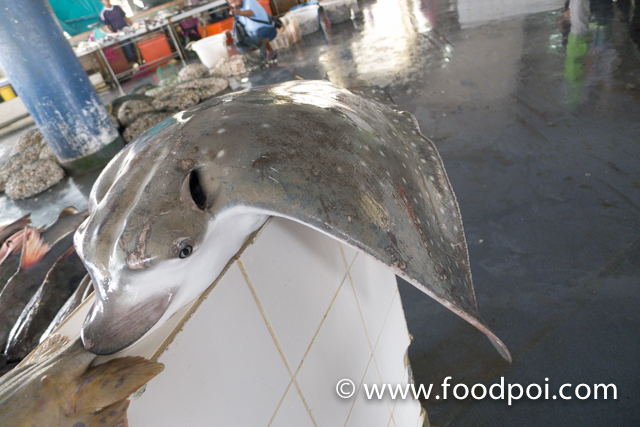 Peeping the bottom of Chicken stingray. 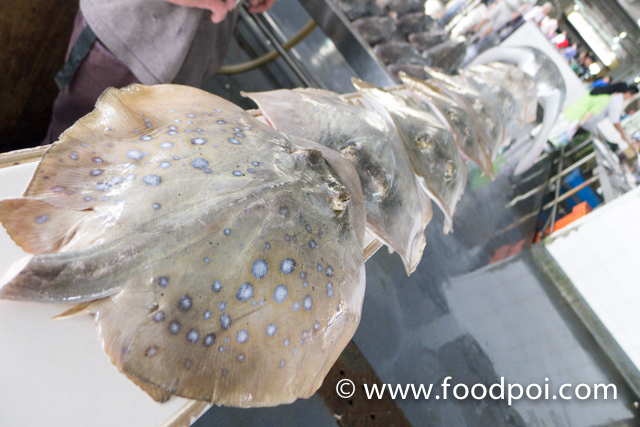 Normal stingrays perfect of asam pedas …. 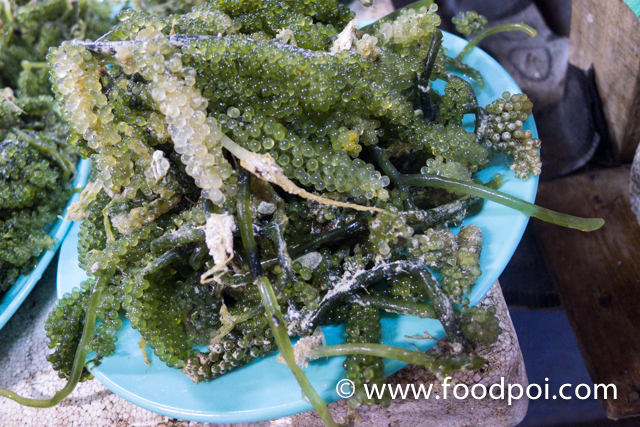 Fresh seaweed sold at large here. It is fresh and still wet. 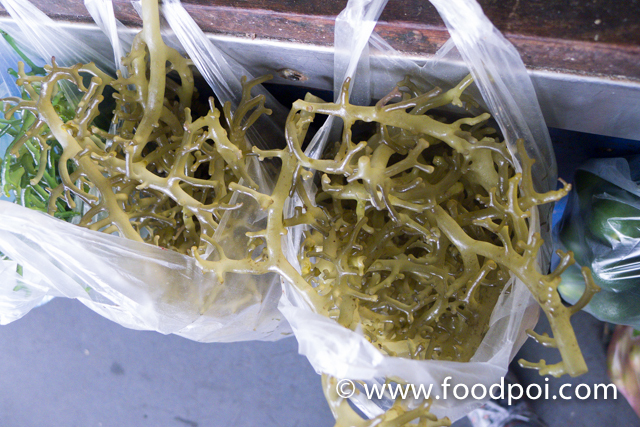 Highly sought after sea birds nest that nowadays restaurants use it to replace sharks fin. 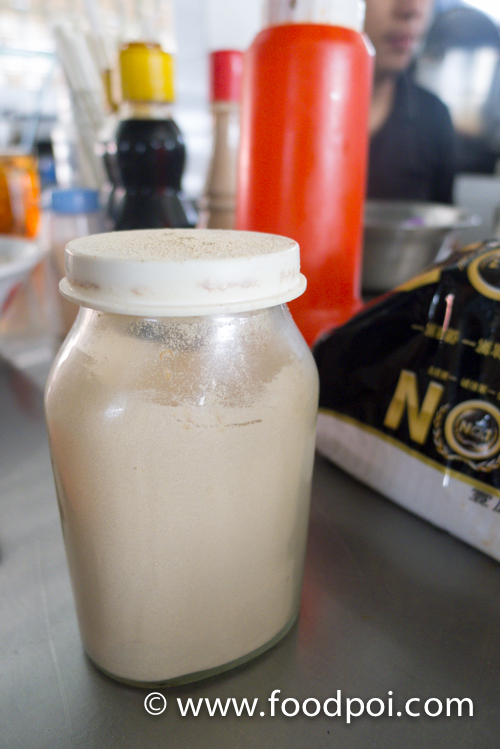 It give a similar texture to it and highly nutritious. If you take this, you can save some money on botox. All sorts of sun dries available at great price here. 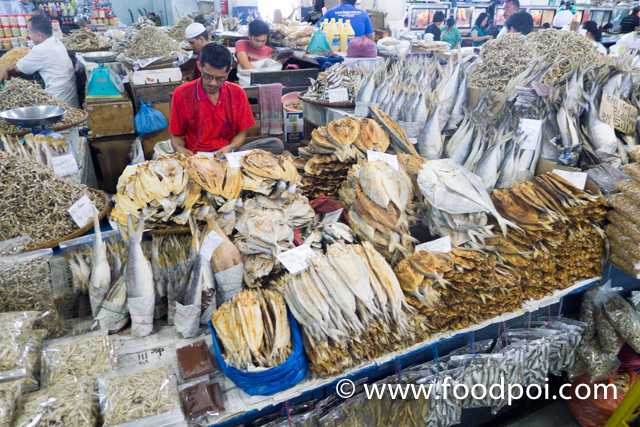 And the seller here are tourist friendly which means they have vacuum pack that allows you to put the salted fish in your luggage bag. This is more commercialised version. 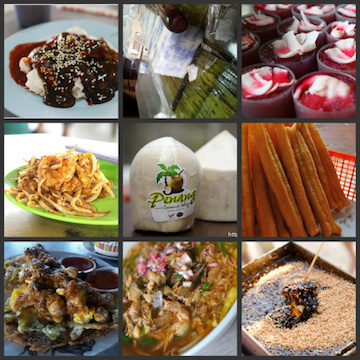 If you want to buy from the maker, you should get it from the seller in Kampung Sim Sim. As a foodie, we never miss to checkout the food court of a market. 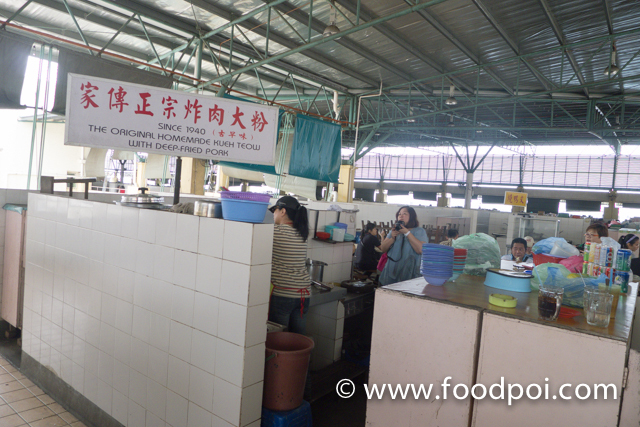 In Malaysia, there are normally a food court attached to markets. 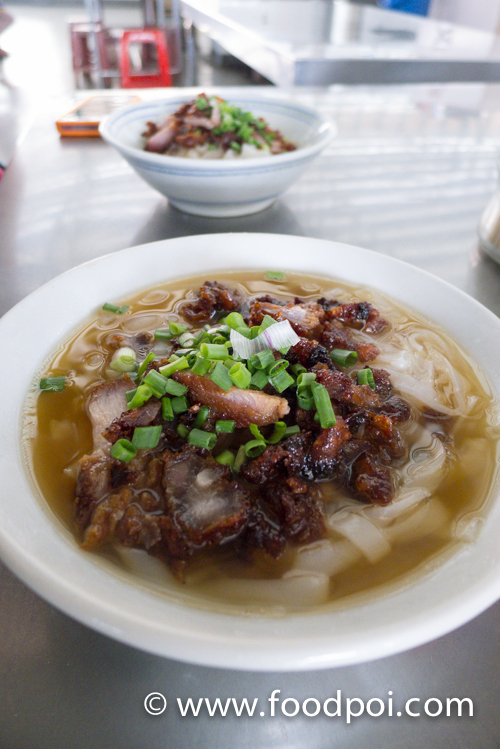 At the top floor of the central market, there are a famous noodle shop which is famous and a MUST try recommended by the locals. The noodle shop has started since 1940 and since then been family operated. 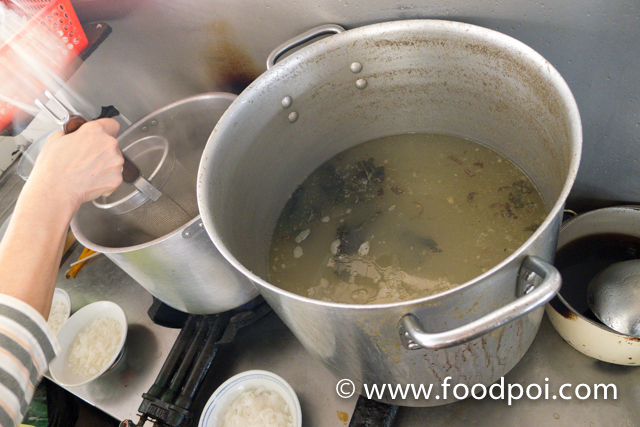 The soup were prepared with the local seafoods and sundries ingredients. I can taste that there are absolutely no MSG added in preparing this. 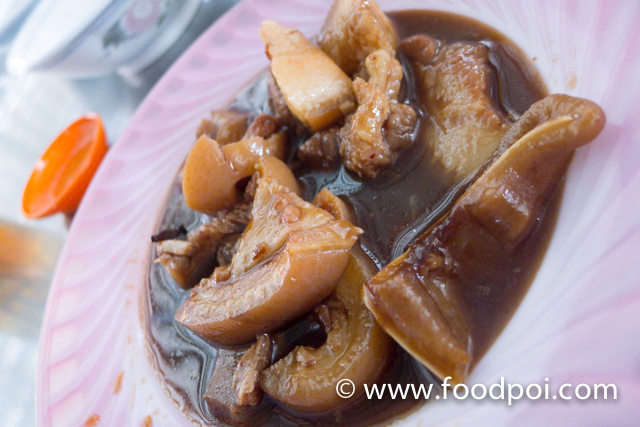 The fried pork were resemble fermented bean curd pork. This is most sought after noodle store in Sandakan. The soup version of the hand made noodle. Taste are very subjective. 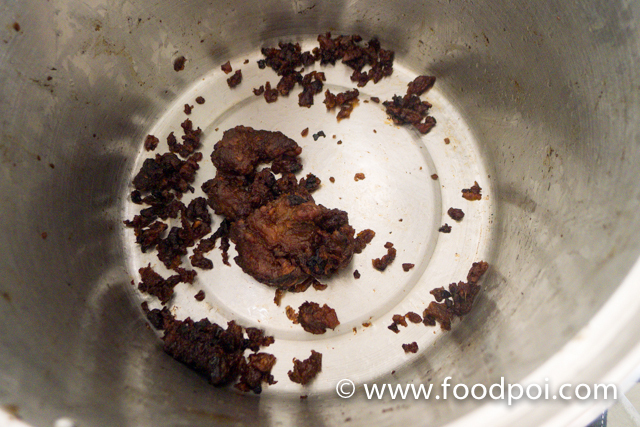 Some like the soup version and some like the dried version. 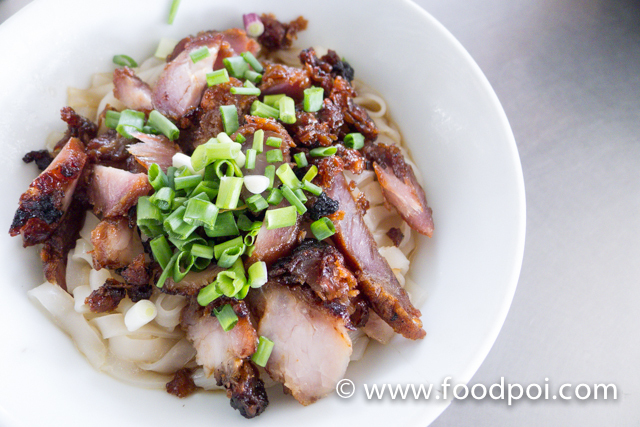 The texture of the noodle are like Tau Chim flat noodle. It is thicker than the Penang koey teow that I love. Every table there are a bottle of grounded peppers and chilli sauce which I find it taste like tobasco sauce are the perfect companion for the noodles. It can be spicy for certain people so go slow with the chilli sauce. 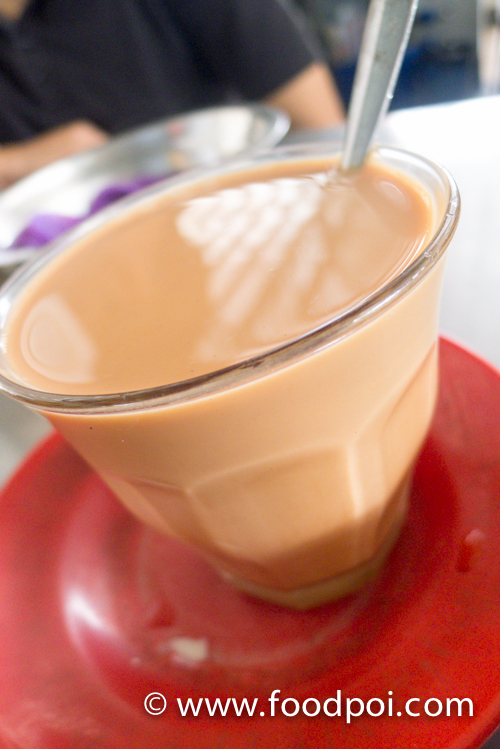 Another must order would be their Teh C. It is the best milk tea I had in Sabah. It is strong in tea taste and not overly sweet. A mixture of evaporated and condensed milk give it a smooth taste to this cup of tea. Besides the noodle, my fellow foodie went to order extra things to bite from the surrounding stalls. 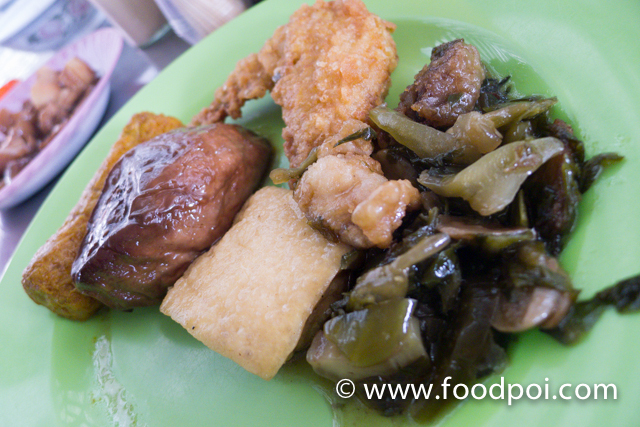 Most of the Chinese foods at the food court were Cantonese and Hakka influenced. 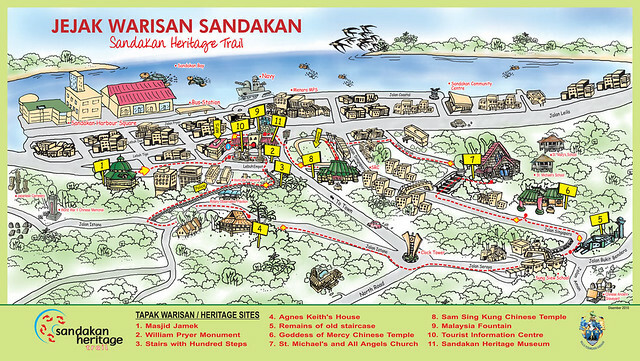 The local dialects are Cantonese and Hakka so to communicate here are very similar to KL. 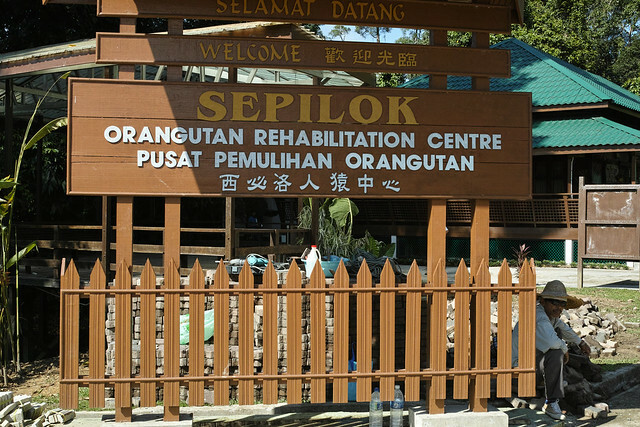 This is a privately owned place that help the orangutan and sun bear rehab. 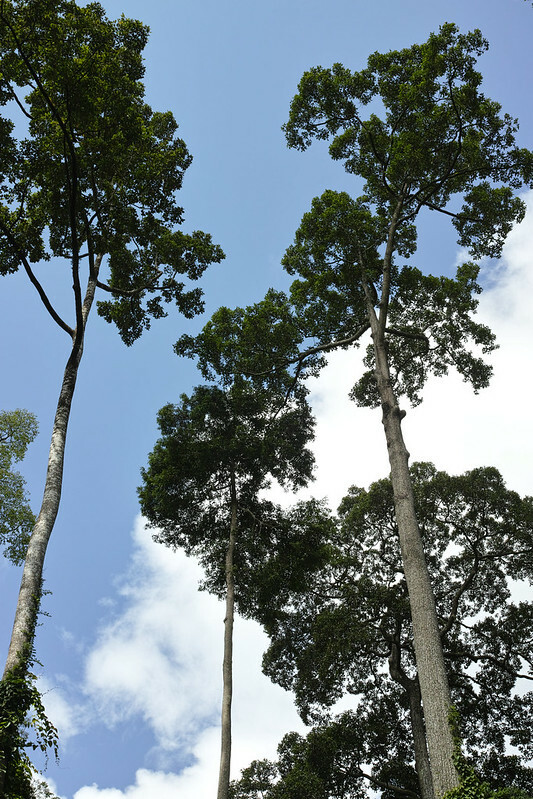 They train and preserve the natural habitat of this 2 endangered animal which can only be found in Borneo. You can’t find them anywhere else hence you see a lot tourist are eagerly to catch a glimpse of them. However this is not a zoo. A zoo is usually guaranteed sightings for the animals. Here it is more like a free range and also the animals are free to move as they like. 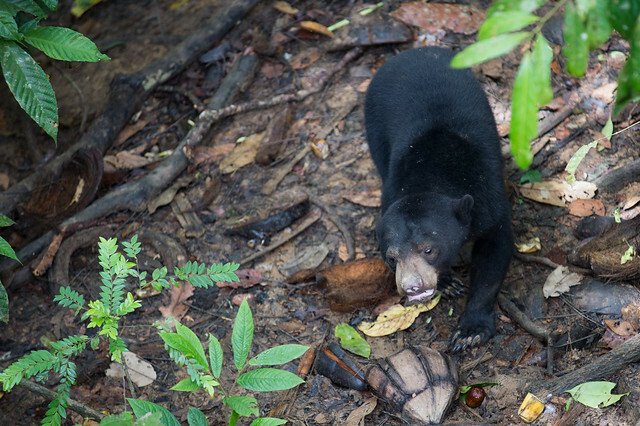 There will be 2 feeding sessions daily where the rangers feed the orang utan and sun bear. 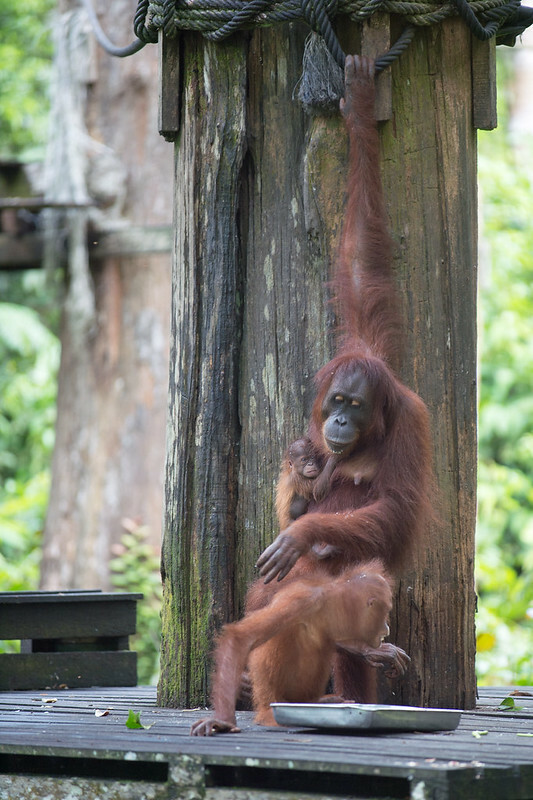 A mother orangutan with a baby cling on her body plus a young female orang utan. 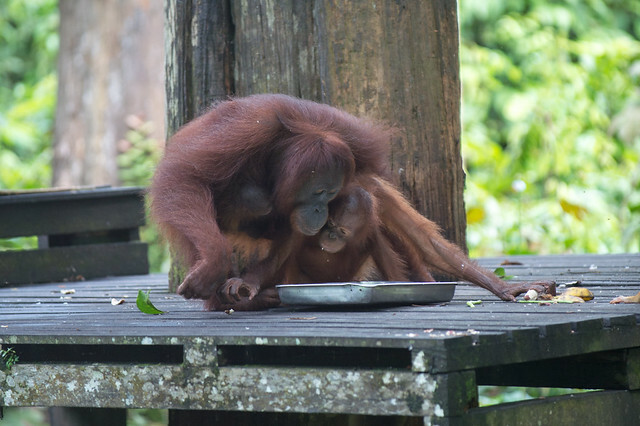 The mother overlooking the young female orangutan drinking her milk. 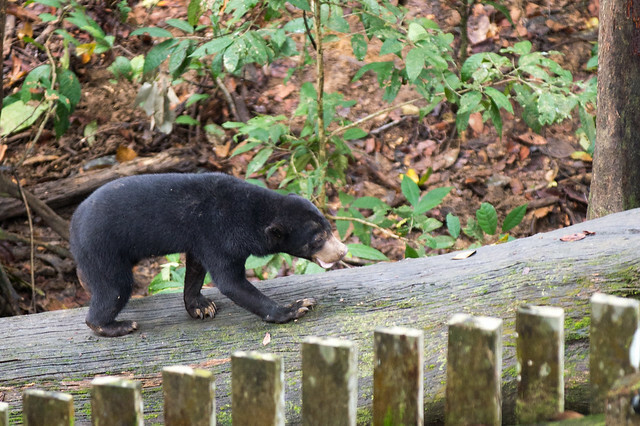 World smallest bear which can only be found at Borneo. 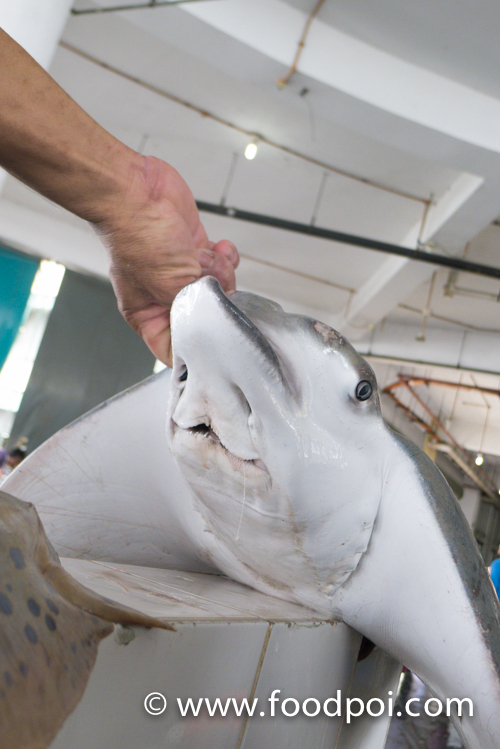 This species is also listed as endangered species which previously a lot were trading on them and take them as pet. 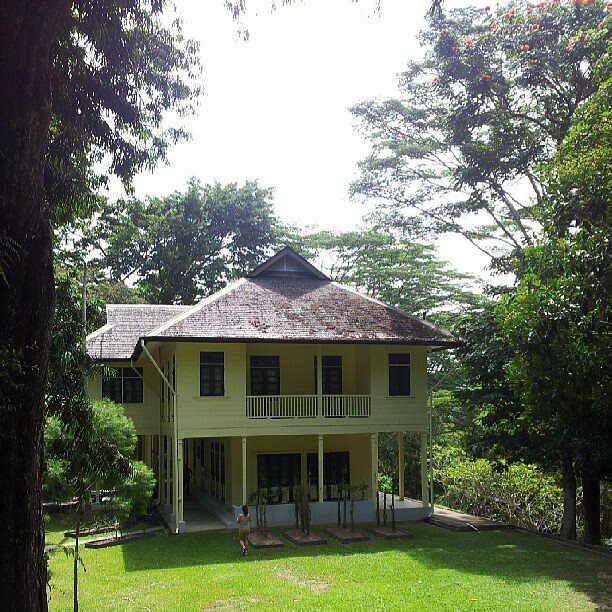 The rehab center are currently still under construction and will be opening soon to visitors probably in 2014. 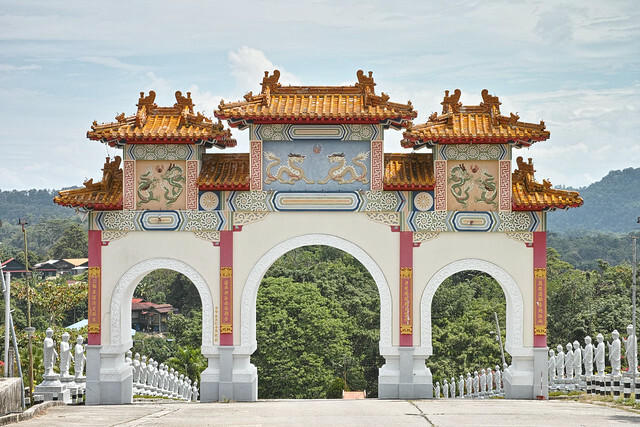 This Chinese temple would be the highest point in Sandakan that overlook the town. From left to right, you can see the town clearly from one end to another. 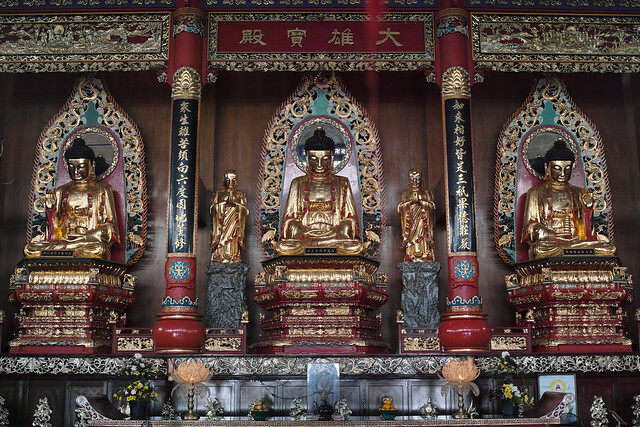 For those who are buddhist, it is a good time to pray since you already here. This is one of the oldest building in town. 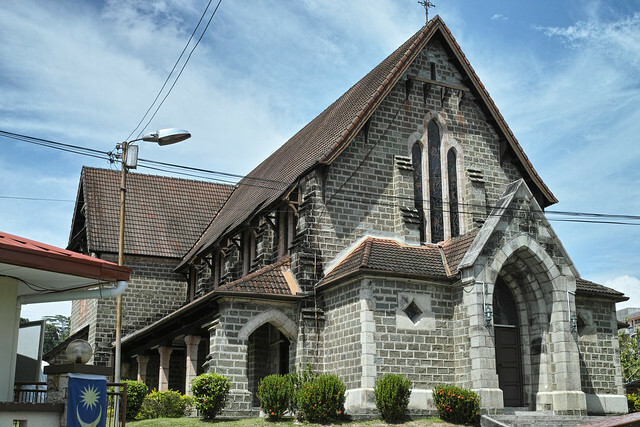 The structure are built on colonial architecture and well preserve. However there are a little fees to enter the church. 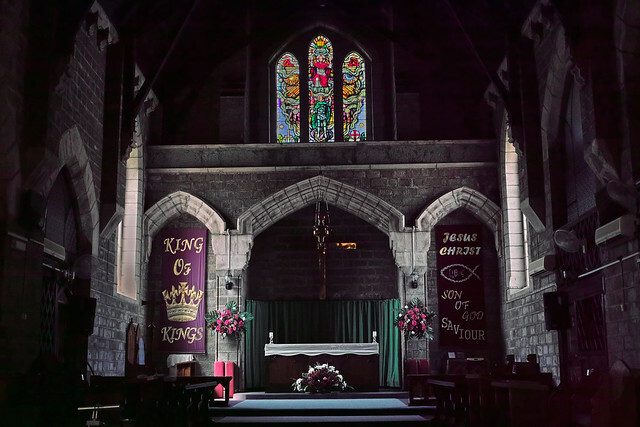 The inner church are air conditioned and you will be mesmerize with the beauty of the stain glass. 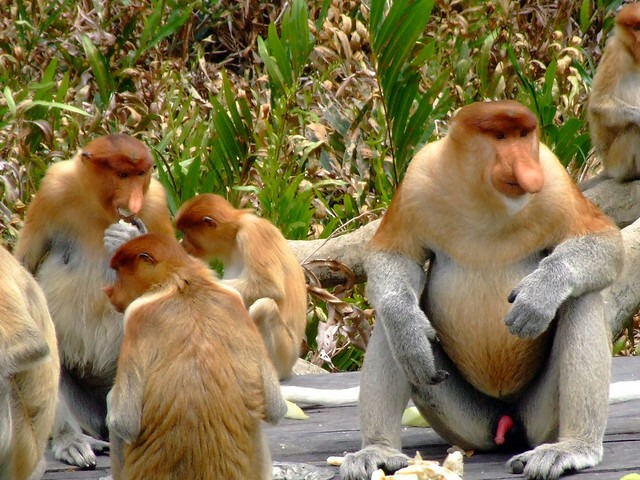 Like the famous orangutan, this monkey species also only available at Borneo continent. 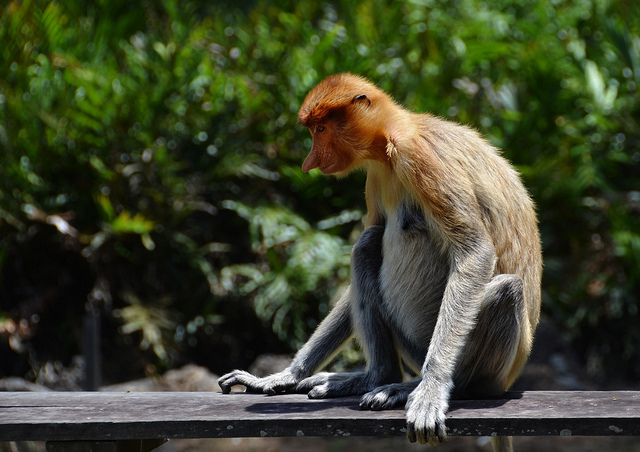 The nose are bigger and also the hair are more golden compared to normal monkey.